Hope you find creative Australian surf wax cover designs as interesting as I do. If your Australian surf wax company has an interesting surf wax cover design, feel welcome to scan and email it to surfwax@perthperth.com for posting on this surfboard wax page. 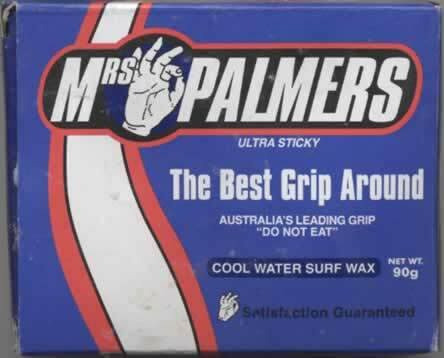 Mother's Milk surfboard wax has a good grip.